Here the Investing News Network looks at six opioid use disorder treatment stocks. Read on to learn more about them and what they are up to. Lawsuits have been filed against many pharmaceutical companies for the opioid crisis, but this doesn’t solve opioid addiction problems. The opioid crisis has been around a lot longer than when President Donald Trump declared it a national public health emergency in October 2017. Opioid abuse started as early as the 1990s with rapid-onset non-prescription opioid drugs such as Oxycotin, but dramatically picked up in 2016. Pharmacotherapies have long proven to significantly help a multitude of addictions, including alcohol and opioid use disorders. The drugs can help many addicts to stay abstinent even more so than those who detox the more traditional way. The three main drugs are: methadone, buprenorphine and naltrexone. These are dispersed in a variety of ways, such as via injections, pills or even an orange-flavored drink. The drugs help sustain addicts by supplementing the detox and filling the void with less addictive drugs. Here the Investing News Network (INN) is taking a look at some of the biggest players for opioid use disorder treatments that are providing approved drugs to help with the opioid crisis. All figures were taken from Google Finance as of market close September 5, 2018. Companies are listed in alphabetical order. First on our list of opioid use disorder treatment stocks is Alkermes. This diversified company is working on treatments for the central nervous system but its opioid use disorder treatment drug, Vivitrol, still tops the list for sales. The drug increased sales by 15 percent to US$76.2 million in Q2 2018. Vivitrol is a naltrexone injection that is dosed monthly. This class of drugs blocks opioids from acting on the brain and removes the reward of using the drug, which aids in reducing relapse. A big player in opioid use disorder treatment stocks, BioDelivery has both Belbuca and Bunavail for treatments. The former makes use of just buprenorphine whereas the latter uses both buprenorphine and naloxone. Buprenorphine binds to receptors in the brain similar to opioids but not as a perfect fit, meaning it doesn’t give the same effect as opioids, but fills the void. For its Q2 2018 financial report, BioDelivery shared a rapid prescription growth of Belbuca at 80 percent year-over-year (YOY). Both drugs were primary drivers of the company’s product net revenue, which increased 39 percent to US$12.2 million YOY. This international pharmaceutical company has a product line boasting specialty branded pharmaceuticals and generics. In addition to its own products, the company’s subsidiary, Paladin Labs, supplies methadone products to treat opioid use disorder. The products include Metadol and Metadol-D. The drug solution is mixed with water and is consumed orally. It comes in a variety of flavors such as orange Tang, Crystal Light lemonade and more. Dolophine, a methadone drug, was once one of the biggest drugs for opioid use disorder treatments which slowly eased addicts off their withdrawal symptoms and decrease cravings. Originally developed by West-Ward Pharmaceuticals, the company was acquired by Hikma more than 20 years ago. Depending on the prescribed dosage, Dolophine is taken as a tablet, depending on the prescription. Another big name for opioid use disorder treatment stocks, Indivior is behind Suboxone, another mixture of buprenorphine and naloxone, which is similar to BioDelivery. This sublingual film is taken on the cheek or tongue. The other product the company has for the disorder, Sublocade, is a monthly injection. Both products have been profitable for the company in the first half of 2018. The company forecasted to be in the range of US$25 million to US$50 million for the full year net revenue for Sublocade. Knight’s licensed Probuphine treatment, which is a buprenorphine implant from Braeburn Pharmaceuticals, received Health Canada approval in April 2018. This small six month implant is focused on helping clinically stable patients that have been prescribed low doses of the drug. Knight is still working with medical professionals, including doctors, to organize the best way to implement the drug for patients. This drug is differentiated by reducing the risk of medication diversion and increasing the commitment to the medication. 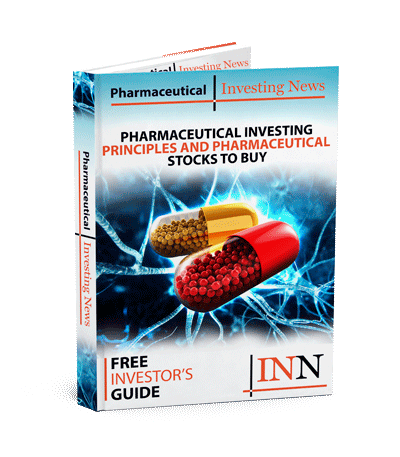 Get the latest information about companies associated with Pharmaceutical Investing Delivered directly to your inbox.